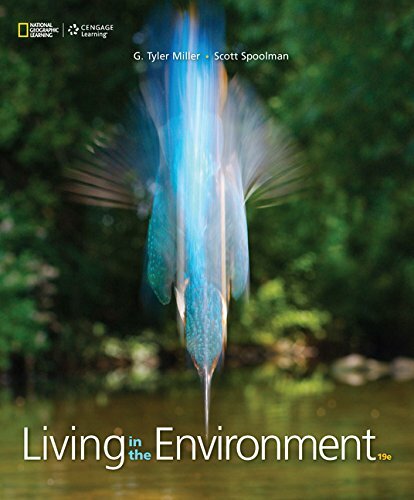 1337094153 -In the new edition of LIVING IN THE ENVIRONMENT, authors Miller and Spoolman work with the National Geographic Society in developing a text that equips students with the inspiration and knowledge they need to make a difference in solving today’s environmental issues. Using sustainability as the integrating theme, the 19th Edition provides clear introductions to multiple environmental problems and balanced discussions to evaluate potential solutions. New Core Case Studies bring important real-world stories to the forefront; questions added to the captions of figures that involve data graphs give students additional practice in evaluating data; and a new focus on learning from nature highlights principles and applications of biomimicry. The MindTap edition offers additional exclusive National Geographic content and includes a new Think Like an Environmental Scientist activity that introduces important research topics and gives students practice in using the process of science.